I read with amusement the high school letter grades given to the NYC high schools and realized how these letter grades are simply a sham. How can high schools that have single digit "college and career readiness rates" receive an "A" grade? I can't imagine that schools could get a high grade with so few of their graduates prepared for college and high skilled jobs? Furthermore, I question the methodology used to give the schools a grade and how it is weighted, The DOE methodology uses some very nebulous metrics such as Student progress (55 points), Student performance (20 points), and School environment (15 points) with the final 10 points coming from the "College and career readiness scores". In addition, the DOE artificially can raise the school's overall grade by giving the school credit for reducing the student achievement gap .for high-need students (16 points). How the DOE came up with these metrics is beyond my understanding after reading the Educator Guide describing them. Worse, I see no way for the DOE to ensure the data has not been massaged by the school, in other words an unscrupulous Principal could "game the system" to ensure his or her school received credit that on closer examination was undeserved. For example giving massive "credit recovery credits" to raise graduation rates, or granting credits for service to improve student progress, and pressuring teachers, students, and parents to affect the School environment scores. 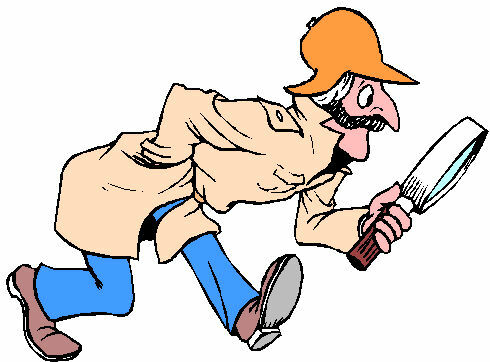 Moreover, the mere fact the the school knows when the evaluators are coming makes it a farce. Is it any wonder that these schools with less than 5% college readiness rates were graded "A"? A list of these low preforming high schools who received an "A" grade are listed below. More incredibility is that the high school in Brooklyn, FDNY School For Fire and Life Safety,had not one graduate who was college ready but still earned a "B" grade. Just unbelievable. 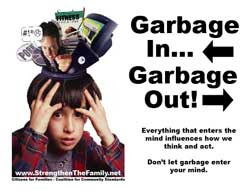 I can only use the old saying "garbage in, garbage out" when it come to the DOE grading system for the NYC high schools. How The Misguided DOE School Choice Policy Caused The Destruction Of The Neighborhood High Schools. It is no secret that a student entering high school can apply to any school they want to attend, no matter how far the school is from the student's community. The elimination of zoning requirements has resulted in many of the neighborhood high schools in poor communities to struggle and eventually fail as they cannot attract academically successful students. Interestingly, the Mayor blamed the school failures on poor teaching and not the real villain, his policy of "school choice" that former Chancellor Joel Klein implemented during his disastrous tenure that ended in 2010. Before the Mayor's "school choice" policy, the neighborhood high schools were always guaranteed a decent amount of academically successful students, even in the most poverty-ridden communities since they were zoned for their neighborhood school. These students were not only role models for entering students who saw how successful they were academically and the respect the school's staff and Administration had for them but also as a stabilizing influence to the student body and the school. With these higher achieving students at the school, advanced and difficult courses such as college level courses, Physics, Calculus, and College now, along with various Advanced Placement courses were offered. The result was that there was greater student participation in extracurricular activities such as sports, clubs, and most importantly community pride in seeing students graduating from their neighborhood school. However, once the Bloomberg/Klein "school choice" policy was implemented, the higher achieving students no longer applied to their zoned high school and these schools became a dumping ground for struggling students. The result was the elimination of higher level courses in Math, Science, and Social Studies. Students graduating with Advanced Regents diplomas were in single digits in many of these schools and even graduation rates were tainted by a massive amount of bogus "credit recovery" courses that resulted in some outrageous actions. Furthermore, many of these struggling students must travel for up to two hours to get to a school willing to accept them if they do not want to go to their failing neighborhood school. For example quite a few students from Southeast Queens and even the Rockaway Pennensula travel long distances just to go to another failing school in far northern Queens just so not to go to their neighborhood failing school. This over reliance of mass transit brings me to a very insightful article Marc Epstein wrote for the Huffington Post about how many middle and high school students must take an ancient and creaky mass transit system to get to their school and how Hurricane Sandy has damaged the infrastructure. Is it any wonder that for these struggling students that high absenteeism and failure is a constant companion? The disconnect of students, especially high achieving students with their neighborhood schools is a recipe for failure and when these schools fail the blame should be squarely laid upon the people who allowed it to happen, the Bloomberg Administration and their destructive policies and no one else. Update: The New York Post's article on Murry Bergtraum High School is a prime example how the Bloomberg Administration's "school choice" has lead to the destruction of this once proud school. It is another year and along with NFL football and family gatherings, there is our Thanksgiving meal where turkey is the main attraction. It's also the time when I identify my recipients of the annual golden turkey award for saying or doing stupid things when it comes to education, so here are my very deserving recipients. UFT President Michael Mulgrew for quickly agreeing with the DOE to eliminate our winter vacation while failing math in the process. How Michael Mulgrew came up with 182 days when the school calendar shows 184 is beyond me. If you have any doubts about what Michael Mulgrew did without any input from the rank and file, just read NYC educator and the ICEblog. What a Wuss and a recipient of a golden turkey award. 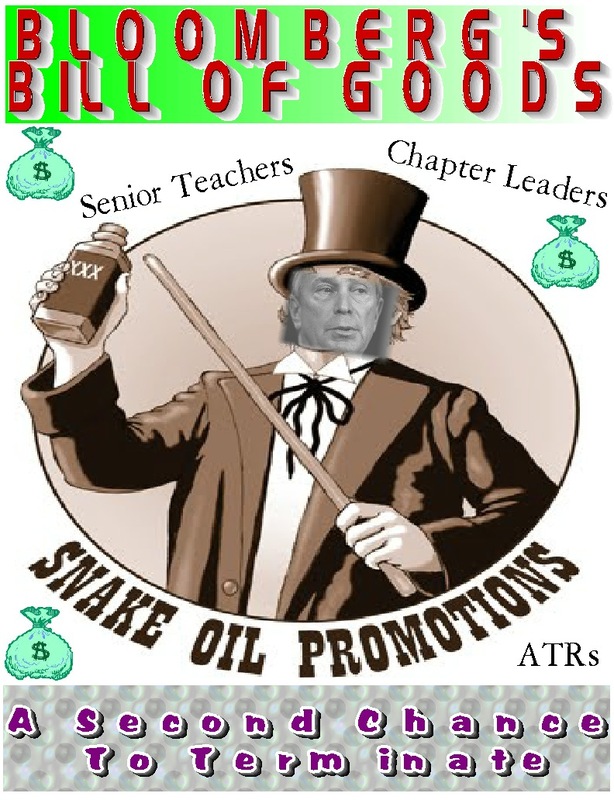 Mayor Michael Bloomberg for costing the City $58 million dollars for his ill-advised and spiteful "turnaround" proposal that would close 24 schools and send over a thousand teachers into the ATR pool. His failure to improve NYC public schools and continued attacks on teachers makes him an annual recipient of the golden turkey award. 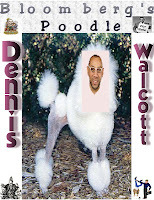 Chancellor Dennis Walcott, otherwise known as the Mayor's poodle has been inept and his so-called initiatives have been shown to be a failure. There has been no academic progress under his tenure and nobody expects there to be. An easy selection for my annual golden turkey award. Former Flushing Principal Carl Hudson who not only was removed as Principal from Flushing High School that he ran into the ground but was arrested for drug possession outside the school but don't worry the DOE probably placed him in a position at one of the useless CFN's. Another worthy recipient of a golden turkey award. 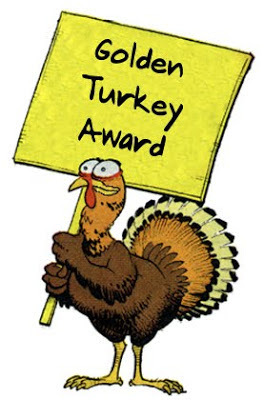 I am sure there are many more deserving recipients of the turkey award but I limited it to the four very deserving individuals that have hurt teachers and education in the 2012 year. Why Doesn't The DOE Hold Superintendent Yolanda Torres Accountable For Her Failure In District 7? The worst preforming NYC District according to the State is District 7, where only 25% of the student population are proficient in reading. This abysmal statistic is even worse than nearby District 9 where parents protested the neglect by the DOE of their District. Yet, despite the academic failure in District 7, the Superintendent, Yolanda Torres, has not been held accountable by the DOE. How come? Time and again the DOE claims "no excuses" when teachers and principals claim that poverty is a major factor in student academic achievement and closes the schools However, I guess accountability is not required by the DOE if you run a failing District like District 7, the worst preforming District in New York City.. This is just another case of DOE hypocrisy and "double standard" when it concerns top level administrators who fail in their academic duty to motive the District's students. I guess for the DOE there are plenty of excuses why they don't hold Superintendent Yolanda Torres accountable for her academic failure. Please read blogger South Bronx Schools on the Administrative failure in District 7 here. Michael Mulgrew Is A Wuss! 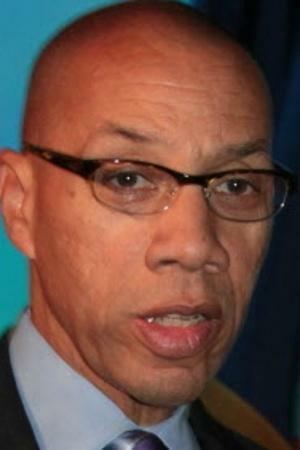 UFT President Michael Mulgrew showed how spineless and uncaring he is about the rank and file by caving in to Chancellor Dennis Walcott's demand that teachers and other UFT staff must give up their winter break to make up the four days that the students were unable to report to school. The UFT President's surrender to the DOE came without any consultation with the people affected by this terrible decision and despite the fact that we still would have worked the State minimum of 180 days if there are no snow days. How he came up with only 182 days in the school year instead of the actual 184 days to justify taking away our winter break is just typical DOE fuzzy math that our union bought into. I, for one, thought Michael Mulgrew had more intestinal fortitude than the wuss, Randi Weingarten. However, I see that I am wrong. Michael Mulgrew is a wuss who rather follow the dictates of the DOE then what his members want. I no longer have faith in Michael Mulgrew's inept leadership and hope we have a real leader to replace him when the next election occurs. 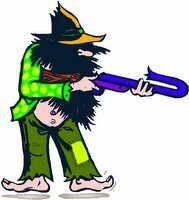 For people who do not know what a Wuss is, here is the definition. Wuss: A person of dual sissiness. This is actually a combination word. 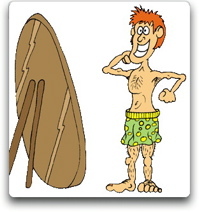 The person this word describes is not only a wuss, he is part wimp and part puss. Mr. Mayor, Child Poverty Is The Primary Cause For Student Academic Failure Not Their Teachers. Ex Chancellor Joel Klein and his education reformer friends, which includes hedge fund managers, profiteers, and misguided billionaires such as Bill Gates will tell the media that it's "excellent teachers" and not eliminating poverty that closes the student academic achievement gap. While not true, unfortunately, they have the ear of many influential politicians such as President Obama, Chris Cristie, Andrew Cuomo and of cause Mayor moneybags himself, Michael Bloomberg. The reason that these politicians believe the education reformer myth that "excellent teachers" can eliminate the student academic achievement gap is that poverty, the real reason for the student academic achievement gap, is difficult to fix. 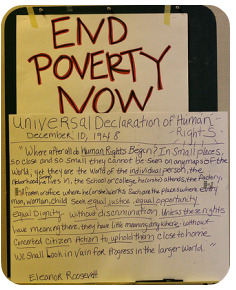 In fact poverty is actually increasing! 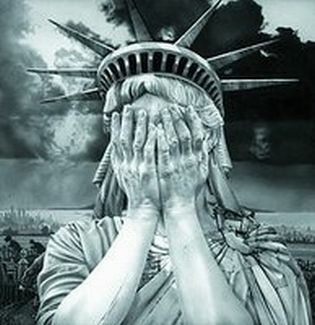 A case in point, he latest poverty statistics for New York City has shown an increase in the City's poverty rate to 20.9% in 2011 up from 20.1% in 2010. Worse the NYC Public School child poverty rate is an astounding 69% based upon the 2010 figures and might exceed 70% once the 2011 poverty rate numbers are analyzed. In fact 48 schools in the city had student poverty rates of 97% or higher and coincidentally, they have the lowest student academic achievement. It needs to be noted that the devastation of the superstorm Sandy could increase the student poverty rate when next year's statistics are finalized. Study after study has linked child poverty to poor academic achievement, yet this is a blind spot for education reform groups who simply ignore the poverty issue with their "no excuses" mantra.. The simple reason that Education Reformers ignore poverty is that they realize that there is little they can do about poverty without a massive influx of resources and wraparound services which costs money. Instead the education reformers look for the cheap way out by falsely claiming that an "excellent teacher" would erase the effects of poverty. Moreover, by playing the "excellent teacher" card it allows politicians like Mayor Bloomberg to camouflage his dislike for experienced teachers, who cost the City money, pensions, and retiree health benefits, by trying to get rid of seniority and tenure under his education reform agenda. His real objective to have replaceable and non-tenured teachers who last less than five years and don't have pensions is provided cover with the education reforms he professes to embrace. The reality is it is all about saving money.not helping children. Poverty, and its effects are the cause of poor academic achievement and the large student achievement gap, not teachers. Mr. Mayor, stop blaming teachers for the widening academic achievement gap and blame yourself for your failure to reduce the City's poverty rate. I am in a an excellent school, with great students, wonderful peers and a very supportive Administration. However, even in the best schools there will always be students who have difficulty handling the academic and behavioral discipline of a school environment. The school, to their credit, has tried various measures to encourage these potential dropouts to finish school and earn a high school diploma. One way is to create a class environment that separates them from the rest of the student body and give them classes that earn them credits needed to graduate high school. These classes are for seniors or super seniors who failed in the regular school session. These "last chance" classes for these struggling students and for the most part, the students do understand and appreciate this final chance to graduate with the rest of the school. Unfortunately, these classes have been only partially successful as many of these students fail to live up to the academic and/or behavioral discipline that is necessary for graduation. I have one of these classes and in a roster of 34, I have between 12 to 15 who show up on a regular basis. For the most part, these students are seniors or super seniors who want to get the credits they need to graduate. However, unlike my other classes, these students suffer from terrible work habits developed over their last 4 to 6 years of secondary school and maybe back to elementary school. Moreover, since many of them are 18 or older, they have part time jobs or children care duties that interfere with their school attendance. Many of them lack self-esteem and believe nobody cares about them. 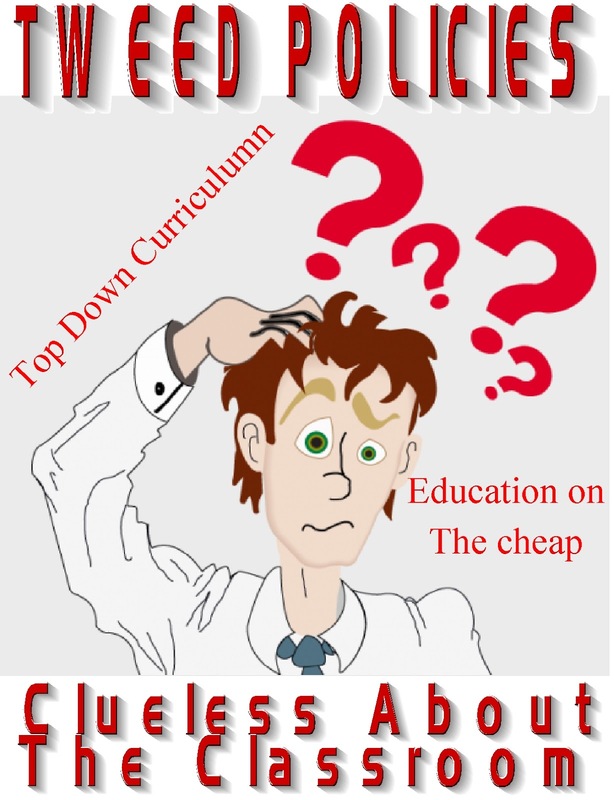 The question is how do you get the students to buy into education when the reason they are in the class in the first place is their lack of enthusiasm for education? There are no real answers to that education question, except to show them that you really do care about their future. I have found that I am able to reach them by showing that I care about their well-being and listen to their problems. They respond in kind by trying to do the right thing such as behaving and doing work. However, a caring teacher is only half the battle for these students to succeed academically. The second part is much more difficult and that is to change their terrible work habits that has been their problem for many years. A common theme for these students is to do as little work as possible and hope the teacher gives them a 65%. Unfortunately, many teachers did not pass these students and give up on them during the previous years and in turn, the students gave up on themselves. At first, I tried to teach my senior class like the rest of my classes and realized that the students were not willing or capable of working like my other classes. They needed to be given more worksheets and work together in solving problems. While some teachers may see this, giving out worksheets, is a lazy way to teach, I have found that for this group of students, that giving them worksheets, along with good instruction and making sure the worksheets are rigorous and relevant allowed the students to work in teams and to complete their tasks. Moreover, I found that giving them a test that allows hem to work together achieved much greater results academically then having them take the test individually. While I admit their are some drawbacks to this "cooperative testing" approach but at this stage it seems to working. The students appear more confident academically and their behavioral issues are less. While my approach is a "work in progress". I believe it is working and the students have better work habits, are showing academic improvement and with few behavioral issues. Most importantly, attendance is stabilizing and it is good to see the students showing up most every day and willing to work. I can only hope these little steps by my students academically results in a big step for them, that is graduating in the school. The Excellent Teacher And The Clueless DOE. The DOE has time and again claimed that education reform is necessary because they want only "excellent teachers" to instruct the City's students. Of course the DOE is clueless to what an excellent teacher is. The DOE's real motive is their "education on the cheap" policies. 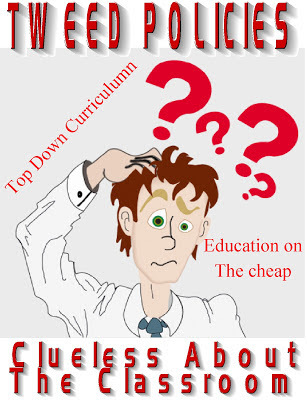 For Tweed an excellent teacher is an inexpensive and untenured teacher that will not be in the profession long enough to get a pension or retiree health benefits. In fact Mayor Bloomberg discounted teacher experience by saying teacher experience is not important to student learning. If the DOE really wanted the best teachers in the schools, the first thing they would do is allow principals to hire the "best teachers" and not the cheapest teachers as they are forced to do now. Previously principals were able to hire the "best teachers" because all teachers cost the same to the school. The result was that the principals could hire teachers who they believed would be best for the school's students. However, under Mayor Bloomberg's ex-Chancellor, Joel Klein, came "fair student funding" that hamstrung principals in who they can hire. Before "fair student funding" fiasco teachers were units and schools could hire who they pleased as long as they didn't exceed the total units allocated to the school. Therefore, many principals would try to recruit more experienced teachers to instruct the school's students since they know that the "best teachers" are experienced teachers. The result was that the better schools would end up with the excellent teachers, while the poorly preforming and ineptly Administrated schools would see a merry-go-round of "newbie teachers" and poor student academic outcomes. The solution of this teacher inequality would have been to encourage experienced teachers to end their stellar careers at these struggling schools by giving them a monetary motive. Chancellor Rudy Crew, the last Chancellor that actually was an educator, came up with the Chancellor's District that paid teachers 15% more money to teach smaller classes in these struggling schools in return for a slightly longer day and with greater teacher resources. While it was not a complete success, it did bring experienced teachers to these schools and more importantly, did raise the academic achievement of the school's students. Unfortunately, the Bloomberg/Klein Administration in 2003 put an end to the Chancellor's District and these struggling schools and their students were no longer exposed to these top quality experienced teachers. The result was a new merry-go-around of "newbie teachers" and student academic outcomes plumeted. Now these schools are based upon a top-down imposed "drill and kill" strategy that replaced real learning with mind-numbing test preparation. 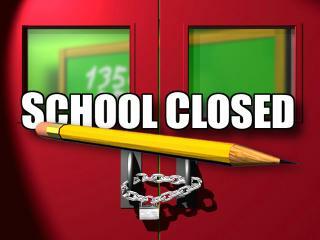 Is it any wonder that these struggling schools are either now closed or in danger of closing? Once, the "fair student funding" fiasco was implemented by Joel Klein's DOE, combined with the terrible 2005 contract that eliminated the requirement that all excessed teachers in a District must be placed before outside teachers can be hired, it became virtually impossible for a Principal to hire an experienced teacher without taking a significant budget hit. Even replacing one experienced teacher with another could be tricky budget wise since the original teacher's salary may have been "grandfathered" while the replacement is not. This is especially true during the last few years with increasingly tight school budgets and DOE top-down requirements that schools spent a significant part of their budget for non-school based support systems such as the wasteful and unnecessary Children First Networks. A prime example of the academic failure is the Bloomberg small schools that only seem to have "newbie" and untenured teachers that leave the schools in three to five years. Many of these small schools are lead by "Leadership Academy Principals" who have little classroom experience themselves and are encouraged by Tweed to hire the cheapest teachers to stretch their budget The result is that parents and students who like the idea of small learning communities, instead found large class sizes, a rigid curriculum, and worse, untested and inexperienced teachers who suffered from a steep learning curve when it came to curriculum knowledge and had poor classroom management skills. The over reliance of inexperienced teachers in these small schools hurt student academic achievement and collectively the Bloomberg small schools have terrible "college and career readiness scores" to show for it, averaging an abysmal 10 7% compared to 20.7% for the large comprehensive high schools. It is too bad that the non-educators at Tweed cannot recognize what good teaching is but what do you expect when eighteen of the twenty top people at Tweed never taught in the classroom themselves? The DOE Inequalities Of Providing Transportation Services To The Students In The Rockaway Pennnsula. I read with much amusement the schoolbook article on how the Principal of the elitist Scholar's Academy praised the DOE for providing yellow school buses to transport his students to their temporary digs in East New York and had an attendance rate of 60%. By contrast, many of the schools in the Rockaway Peninsula had inadequate transportation provided by the DOE to other schools and District 27 had an overall attendance rate of 20% which includes other less affected communities like Howard Beach, Richmond Hill, Woodhaven, Jamaica, and Ozone Park ! Some Rockaway schools' attendance rates were in the single digits The question is how did the elitist Scholars Academy get yellow school buses from the DOE while the rest of the Rockaway Peninsula schools did not have enough? The answer is very clear to me and that is that the DOE plays favorites and has different rules for different schools. Let's compare Scholars Academy with a typical Far Rockaway school such as Rockaway Collegiate which is part of the Far Rockaway Campus. It is obvious from the statistics that Scholars Academy has a majority White and Asian student body. Moreover, the school only takes students who scored 3's and 4's on the math and reading tests. Furthermore, these students are also screened for absences and punctuality as well before they are accepted into Scholars Academy. Furthermore, only 35% of the students qualify for free lunch meaning that the majority of students come from middle class households. Finally the schools "college readiness scores" is 90%. By contrast, Rockaway Collegiate has 60% of their students qualifying for free lunch which shows that the majority of the school's students live in poverty. Finally, the "college readiness score" is a terrible 3.4%. Despite all the Bloomberg, Walcott, and Tweed propaganda machine claims that it is "children first". 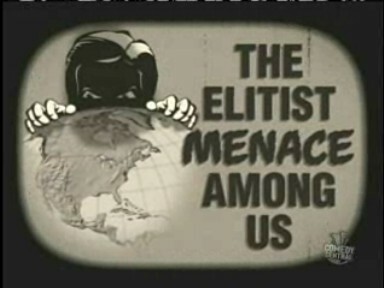 When it comes to the Rockaway Peninsula it is the "privileged children first" and as for the rest? They can find their own way to schools that are many miles away can't they? update: After reading blogger Doenuts commets and talking to a few other people at the Rockaway Complex, they told me that many of the high school students were encouraged to take public transportation because of fears that there were not enough buses available for the first week. Still it would appear the DOE showed favoritism to Scholars Academy in allocating buses to the schools. 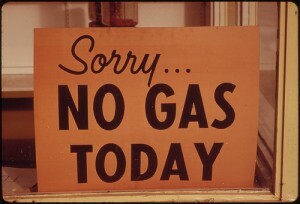 New York City And Long Island Are Forced To Ration Gas As They Are Not Receiving Their Fair Share Of Gasoline. Odd and even gasoline rationing is being implemented in New York City and Long Island because of the severe gasoline shortage for the area. It turns out that the often quoted 62% figure was based upon faulty methodology and the actual gasoline supplies to gas stations are a paltry 38% in thee NYC and Long Island regions. 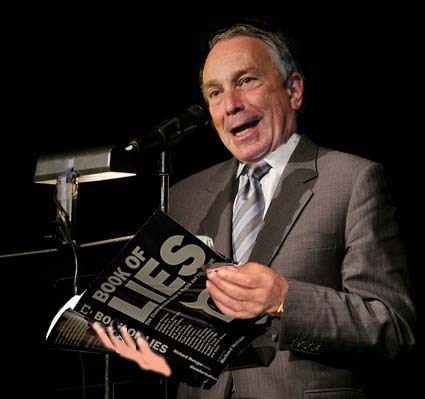 According to Mayor Bloomberg only 25% of gas stations in New York City are open. No wonder there are long gas lines! The Governor owes all the motorists of New York City and Long Island an apology since it was not drivers topping off their gas tanks but the many gas stations that had no supply of gasoline to sell. Now it seems the Governor's optimistic forecast that gas lines will disappear by the end of the week is wishful thinking. Instead the federal energy agency expects gasoline shortages to persist for the rest of the month. Their excuse that too many refiners are either shut down or operating at reduced capacity rings hallow as the rest of the tri-state region has seen adequate gas supplies and no gas lines as a result. 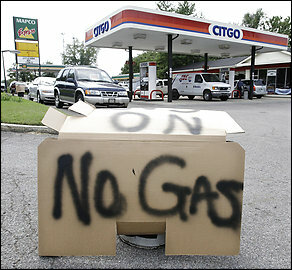 In fact the Department of Energy stated that 72% of the gas stations are open and pumping gasoline as of today. Well if 72% of the gas stations have gasoline in the NYC Metropolitan area than the Mayor's 38% for NYC and Long Island shows that outside the two areas, there is nearly 100% availability of gas, yet they get the gasoline from the same refineries as NYC and Long Island. How could that be if the same refiners serve the various regions? 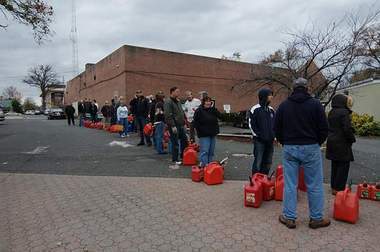 I believe there is something very fishy going on here and an investigation needs to be done to find out who or whom are diverting gasoline supplies away from New York City and Long Island that has caused the gas shortage and long lines and no gasoline rationing for New York City and Long Island when there should be none. 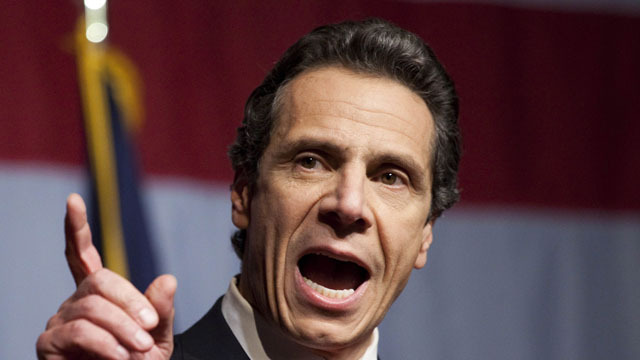 Governor Andrew Cuomo Unfairly Blames Drivers For The Gasoline Shortage. In a Tuesday afternoon news conference, Governor Andrew Cuomo blamed panicky drivers for the long gas lines in the New York City Metropolitan area. However, the real problem is that the gasoline distribution system is broken. At my school in Queens there are six high volume gas stations within walking distance and only one of them had gasoline and they were limiting it to $20 per vehicle. Further, when I returned to my Long Island community the five gas stations in the area had no gasoline! That means of the eleven gas stations I saw, only one had gasoline for sale despite all the stations having kept their electricity throughout Hurricane Sandy. The real problem is that these gas stations are not getting gasoline delivered to their dry gas pumps. If we are to take the Governor's word that there is plenty of gasoline available at the refineries and fully loaded tankers are coming into New York Harbor continuously, then the gasoline supply problem is the lack of trucks delivering gasoline to the community gas stations. Is it any wonder that what little gasoline is delivered to a community gas station, drivers quickly line up? If all the gas stations received deliveries of gasoline, there would be no panicky drivers and long gas lines. Governor Cuomo, it is not panicky drivers but the lack of gasoline deliveries that has caused the long gasoline lines. 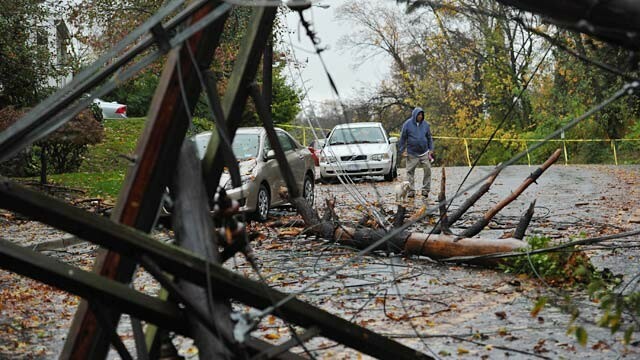 The Biggest Losers After Hurricane Sandy. After Hurricane Sandy has wrecked damage to the New York Metropolitan area, there are no winners, well maybe President Obama got a bounce being in New Jersey with Governor Christie. However, there are many losers. Here is my list of the biggest losers. 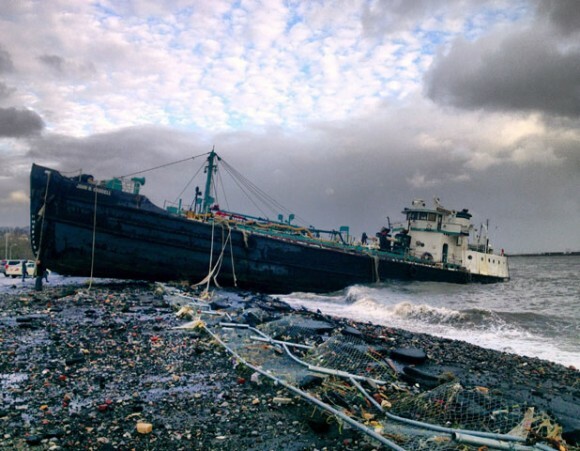 Ten thousand people have been left homeless due to the storm surge, strong winds, and fire. Both areas look like they will not being returning to normal anytime soon. To a lesser degree, many people near the water on the South shore of Long Island and the New Jersey Coast also saw their houses either flooded or taken off their foundations by the storm surge. However, nothing like the damage and destruction experienced by the two communities. Many businesses have been destroyed due to the storm surge and flooding and thousands of people lost their jobs for the foreseeable future. 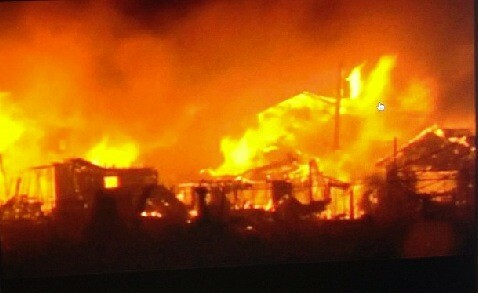 In the Rockarway Peninsula almost every business were affected and many may never open again. Over one million people lost power on Long Island and the Rockaway Peninsula and as of tonight, There still are 400,000 people without power, including almost all of the Rockaway Peninsula. The failure of LIPA to have strengthened their electrical grid system after being devastated by Hurricane Gloria in 1985 is unacceptable. Only the NYC Metropolitan area has experienced a gasoline shortage. Gasoline is plentiful in areas that were harder hit than NYC, like Atlantic City. In fact New Jersey Governor Christie stated that south of I-195, gas was plentiful and North of I-84 the same was true in New York and Connecticut. The only time he has appeared in this crisis is when he is standing behind the Mayor in his press conference. The Chancellor has been relegated to being a non-entity and it was under his inept leadership that principals and teachers were sent an email at 12 midnight by the DOE to tell the time to show up in school at 10am to do nothing the next day. Overall, we all are losers but these are the biggest losers of them all. Educators 4 Excellence Is A Cancer To Our Union. After the aftermath of Hurricane Sandy as the metropolitan area struggles to get back on their collective feet. Educators4Excellence (E4E) issued one of their self-serving statements that it was happy that the E4E team came out unscathed. I guess the sixty people who died in the NYC Metropolitan area, including a teacher at the Brooklyn High School of Social Justice, don't count since none of them are E4E members. Talking about E4E membership? How many teachers are actually E4E members? Fifty? One Hundred?, Five Hundred? Better yet, how many are really active classroom teachers? I bet it is less than one hundred and of those, most are probably Teach For America "newbies" who can't wait to get out of the classroom and won't be teaching three years from now. Regardless of how many active members there are in E4E, one thing is clear, this group, or as I call them, a cult is anti-union and gets their funding from corporate and hedge fund education reformer groups. Time and again E4E is invited to various panel discussions by Education reform groups and has little good to say about our union rights and proposes policies that eliminate many of our "due process protections". In fact, they are the darlings of many education reform organizations and their policy papers reflect the agenda of education reformers.For example, they supported the repeal of LIFO and were a prime supporter of Mayor Bloomberg's infamous LIFO bill. They also agreed with the education reformers that a merit pay plan should be implemented, including higher initial salaries for "newbies" but no step increases for experienced teachers. Moreover, they believe the nonsense that a "great teacher" is more important than poverty in student academic achievement.As for the ATRs? The ATRs should be given six months to find a job or be terminated. For some reason our union, the UFT, has tried to reach out to E4E and include them as part of the union body. In fact one of E4E's failed teachers who couldn't even gain tenure before abandoning the classroom, Rubin Brosbe, has his blog included in the union's Unity caucus Edwize blog for NYC teachers. In my opinion E4E is not like the loyal opposition caucuses like ICE, TJC, or more recently MORE. E4E is a union-destroying cult who is a cancerous tumor in the UFT body and needs to be removed from our union. 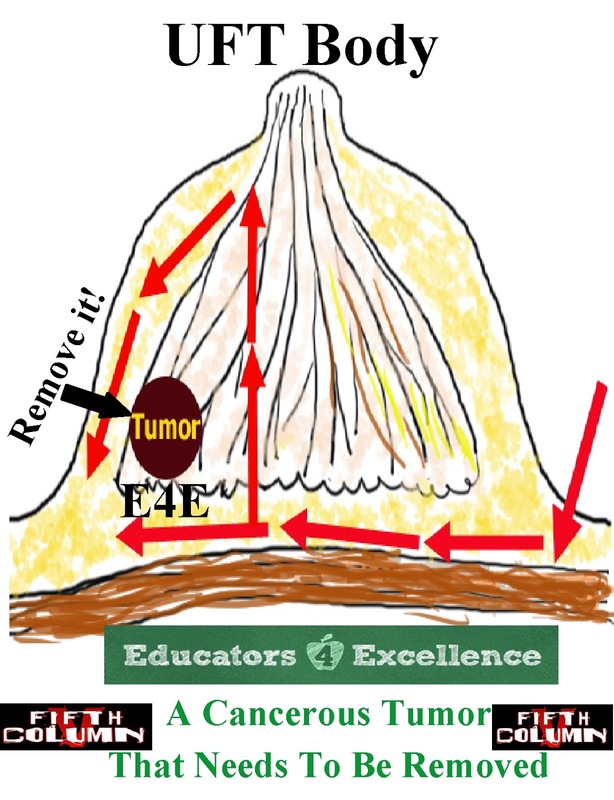 E4E is a "tool" for the corporate elite who control the eduction reform agenda and is a danger to all teachers and it is the union's responsibility to kick them out before E4E's fifth columnist activities destroys the union from the inside just as cancer does to the human body. South Bronx School and Accountable Talk have many more articles about E4E and they are a must read.